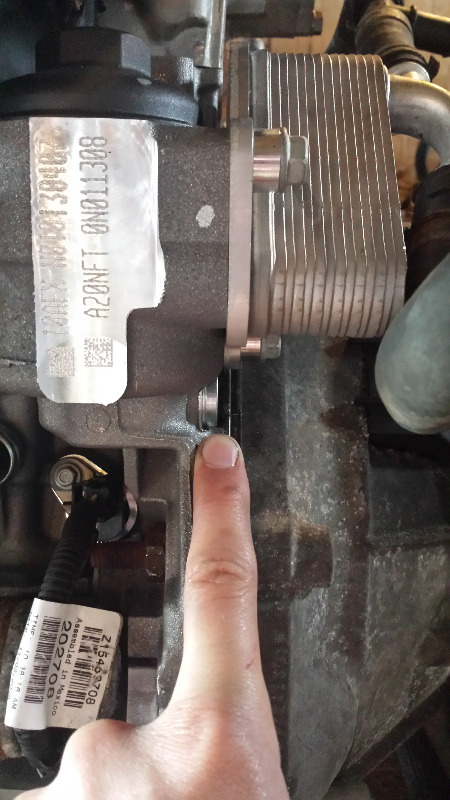 im gonna be installing an oil pressure gauge here in a bit and was wondering which of the plugs on the block to use. 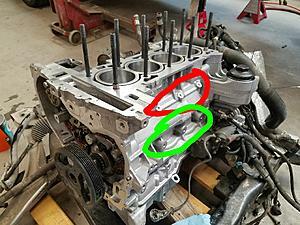 is it the bunch circled in red or the ones circled in green? the picture isnt mine but it was the clearest one i can find that shows the front where i want to tap into. thanks! do you have a link or something for the adpater? im interested in anything that makes life easier. if i understand correctly, with this adapter i can use the location of the the idiot sensor and run it AND my gauge off the same hole? if thats the case then that sounds great! Any luck on that link to the adapter? Got the link for that adapter? i see that maperformance sells an adapter. it says its for an evo 8/9 but will work with many other cars. im guessing itll work for ecotecs too. if this works then all you need to add is the line into the T that they sell also to relocate the sending unit your gauge brings to someplace with lots more space. so ive decided to put this project off until now that i actually have some time. 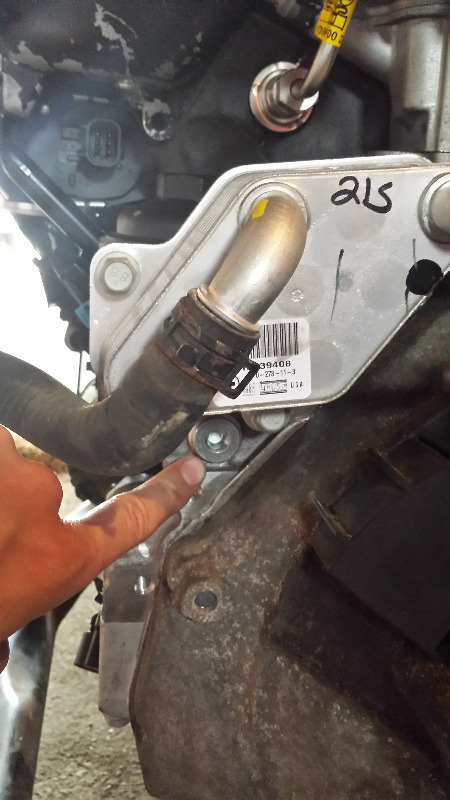 i got under the car today to look around and see if i can reach any of the plugs i need to use for the sensor. i bought a prosport gauge and it comes with a new sensor and not the big sending unit that used to come with the gauge. looks alot nicer and easier to install in tight places. anyhow, i cant seem to get to any of the plugs and i really dont want to have to remove the IM. i was a reading an old thread on here about installing an oil pressure gauge and one of the posts grabbed my attention. 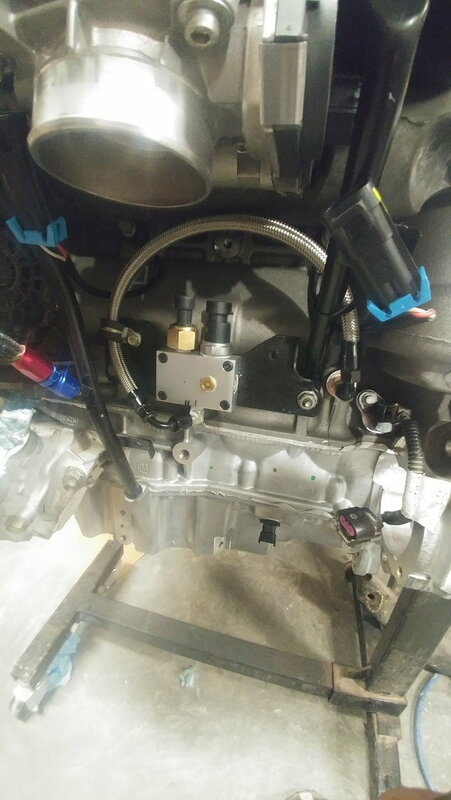 one guy asked if it was possible to hook the sender up to a plug right on the drivers side of the oil filter housing. the pics below show where i mean. the problem is one person stated that it works while another said that when he pulled that plug out no oil came out or nothing. 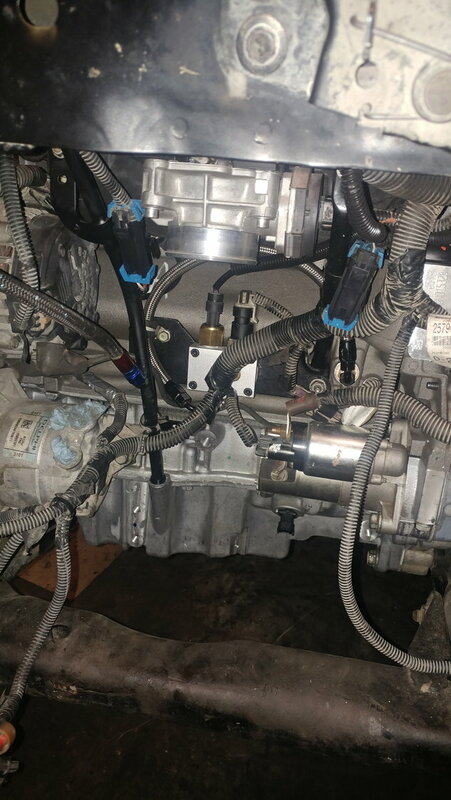 my question now is... do any of you guys have an oil pressure sensor hooked up to this location and/or is this a good place to put one? seems like the easiest place for me to hook up to but obviously if it doesnt work ill just leave it alone. which of the 3 ports in the front would you guys say is the most ideal to tap into? are they all the same? ive heard closer to the oil pump is better and ive heard further is better. why is that the case?